When choosing your new electric/automated gate it is very important that you have the correct automation kit. Here at Electric Gates Direct we are happy to advice you of a system that suits both your budget and your needs. We have over 20 years experience within the electric gate industry so you can rest assure that the advice we give you will be correct. Existing gates can normally be automated however depending on how they are hung will determine which automation kit can be used. Below are examples of the four most common operates used to automate gates. 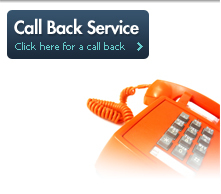 If you require any further advice please call us on 01623 633241 where a member of our team will be happy to help! The above ground ram kit is available in both 230 volt and 24 volt. We have rams that can swing gates up to 7000mm each leaf in length! These rams can be used when installing new pairs and single swing gates along with automating the majority of existing gates. 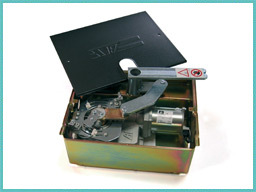 The operators can be used with both metal and wooden gate installations or a combination of the two. All accessories are compatible with the operators such as remotes, keypads, push buttons and intercoms etc. They are available in both electro mechanical and hydraulic versions depending on the usage and environment they are being installed in. In the eventuality of a power cut there is a key operated manual release allowing you to override the system and open the gates manually. Also 24 volt versions have the option of battery back up. Safety is fitted to all of our systems as standard and all domestic installations come complete with an electrical Part P certificate issue by us, this is required by law! The above ground articulated kit is very popular for gates hung in the middle of large piers and is available in both 230 volt and 24 volt. They can be used for gates up to 4000mm each leaf in length These operators can be used when installing new pairs and single swing gates along with automating the majority of existing gates. They are compatible with both metal and wooden gate installations or a combination of the two. All accessories are compatible with the operators such as remotes, keypads, push buttons and intercoms etc. They are available in electro mechanical only. In the eventuality of a power cut there is a key operated manual release allowing you to override the system and open the gates manually. Also 24 volt versions have the option of battery back up. Safety is fitted to all of our systems as standard and all domestic installations come complete with an electrical Part P certificate issue by us, this is required by law! The underground kit is by far the most popular as it is the most discrete operator on the market! Both 230 volt and 24 volt are available and can be used for gates up to 3500mm each leaf in length! These operators can be used when installing new pairs and single swing gates along with automating the majority of existing gates. They are compatible with both metal and wooden gate installations or a combination of the two. All accessories are compatible with the operators such as remotes, keypads, push buttons and intercoms etc. They are available in both electro mechanical and hydraulic versions depending on the usage and environment they are being installed in. In the eventuality of a power cut there is a key operated manual release allowing you to override the system and open the gates manually. Also 24 volt versions have the option of battery back up. Safety is fitted to all of our systems as standard and all domestic installations come complete with an electrical Part P certificate issue by us, this is required by law! 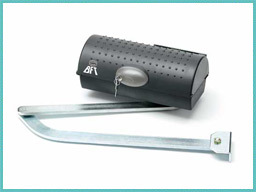 The sliding gate kit is used for both tracked and cantilever sliding gates. Available in 230 volt, 24 volt and three phase. 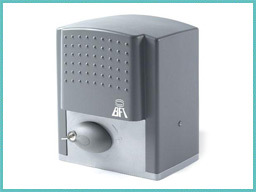 We have motors for any size of gate weighing up to 4000kg! These operators can be used when installing new sliding gates along with automating the majority of existing sliding gates. 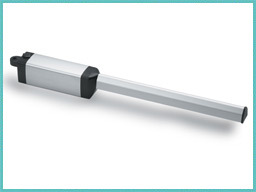 The operators can be used with both metal and wooden sliding gate installations or a combination of the two. All accessories are compatible with the operators such as remotes, keypads, push buttons and intercoms etc. They are available in electro mechanical only. In the eventuality of a power cut there is a key operated manual release allowing you to override the system and open the gate manually. Also 24 volt versions have the option of battery back up. Safety is fitted to all of our systems as standard and all domestic installations come complete with an electrical Part P certificate issue by us, this is required by law!